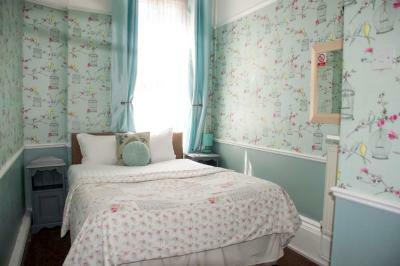 Lock in a great price for The Wescoe Guesthouse – rated 9.4 by recent guests! Great extra touches like fridges and bottle openers in the rooms. Owners fabulously helpful with car parking and spaces. Ground floor rooms great for ones with mobility issues. Location perfect and rooms lovely. Friendly owners, very clean at a really good price, will deffo be back. Lovely breakfast, great location, very friendly hosts! Will definitely use again. 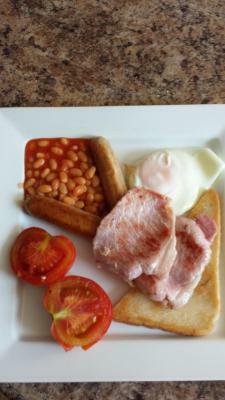 Breakfast was spot on nothing was to much trouble especially with 2 fussy children. The family room was fantastic - French style, well laid out and very spacious. Bathroom clean and large. We arrived 4 hours early and only wanted to find out where to park the car later in the day but Allan said we could check in straightaway so we knew our bags would b safe. He guided me to the parking spaces at the back of the property and also said my husband could park his car there too (he'd driven down to meet us after working in Scotland that week). Wonderful breakfast and chatting to Angie we found out they were originally from the Midlands like us so had a good chinwag! We asked whether we could leave our cars in the spaces until just after lunch and Angie said it was not a problem. 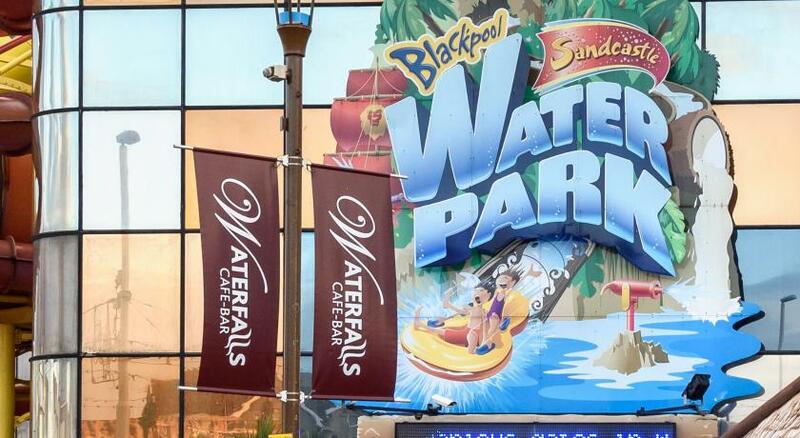 Located just off Blackpool Promenade, near to the Pleasure Beach and Sandcastle Indoor Waterpark, The Wescoe Guest house has guaranteed free parking, free WiFi, breakfast cooked freshly to order and stylish bedrooms with private bathrooms. At the Wescoe, all rooms feature tea/coffee making facilities, a hairdryer and a TV with Freeview digital channels. The superior rooms provide more luxury with sparkling wine and chocolates on arrival, a fridge, hair straighteners and dressing gowns. Breakfast is optional, with choices including cereal, fruit, yogurt and juice, as well as a full English breakfast and lighter options. Everything is cooked freshly to order and served in the Wescoe's bistro-style dining room. A 5-minute stroll from the Wescoe are the Pleasure Beach, Sandcastle, Casino, beach, shops, bars and restaurants. 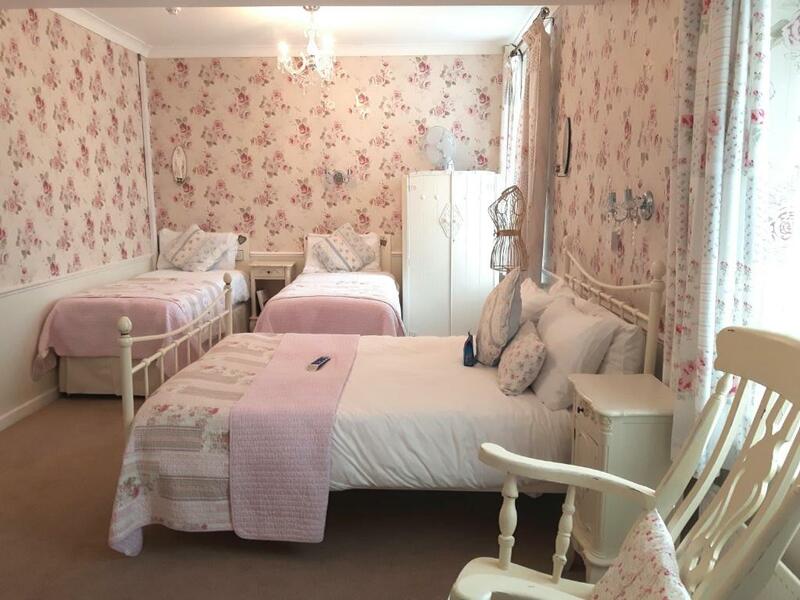 The Tower, Funny Girls and Houndshill shopping are a short tram ride away. 뀐 Located in the top-rated area in Blackpool, this property has an excellent location score of 9.6! When would you like to stay at The Wescoe Guesthouse? This room offers an private bathroom, a flat-screen TV and tea and coffee making facilities. Both rooms are located on the second floor. An private bathroom with large shower cubicle is featured in this room. 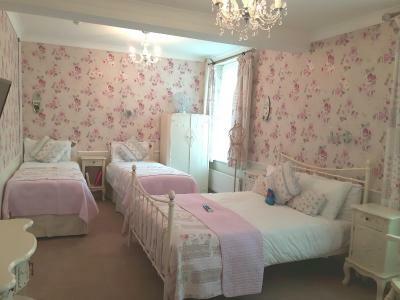 The single bed is suitable for a child aged 3 to 11 years. 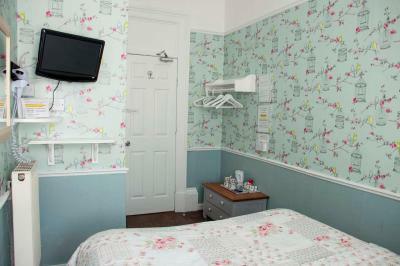 This smaller double room offers an LCD flat-screen TV and small private bathrooms. This room cannot accommodate a cot. This room with attached bathroom has a wrought-iron double bed, a single day bed and a pull-out bed. 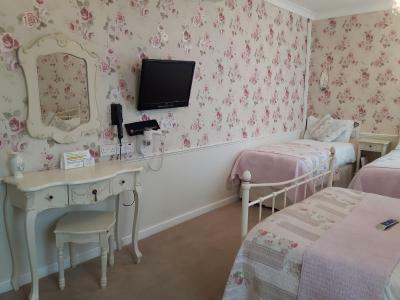 The single beds are only suitable for a children aged 3 to 11 years. With vintage styling, it includes a fridge, sparkling wine and chocolates on arrival, bathrobes, hair straighteners and heated towel rails. A ground floor room suitable for guests who prefer to avoid stairs. There is a small window which opens into a hall. We are a small guesthouse specialising in B&B. 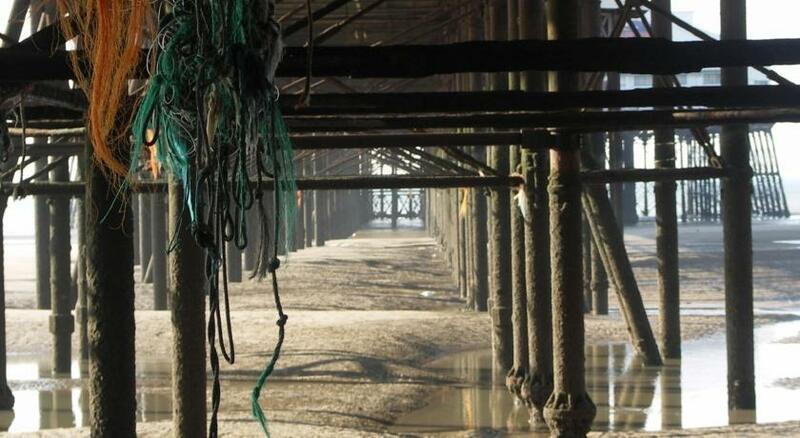 Our location is fantastic being an easy stroll from the beach, Pleasure Beach, Sandcastle Waterpark & G Casino. Allan & I run the business personally & we love to help guests enjoy their stay. House Rules The Wescoe Guesthouse takes special requests – add in the next step! Children 3 and older are allowed at this guesthouse. The Wescoe Guesthouse accepts these cards and reserves the right to temporarily hold an amount prior to arrival. The Wescoe guarantees a parking space for all bookings, but please note that because cars are parked behind each other, access to your car may be restricted during your stay. Children aged under 3 years are not accepted as no cots and high chairs are available. Please inform The Wescoe Guesthouse of your expected arrival time in advance. You can use the Special Requests box when booking, or contact the property directly using the contact details in your confirmation. Stairs very steep have to be careful with little ones, just an observation though. I would have preferred a room on a lower floor, but only because of a short term health issue. Room was nice and quiet. Angie was very welcoming on our arrival. She ordered a taxi on our behalf, since we were going to a wedding shortly after having arrived.